Goodreads: Charlotte Smith's future is planned to the last detail, and so was her sister's - until Phoebe became a disruption. When their parents commit Phoebe to a notorious asylum, Charlotte knows there's more to the story than madness. 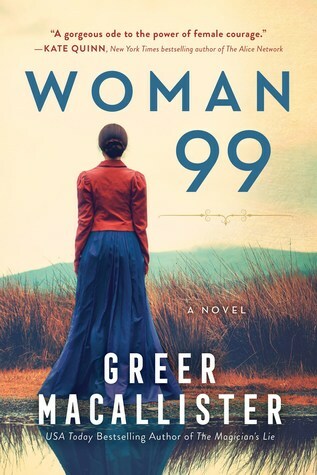 Shedding her identity to become an anonymous inmate, "Woman Ninety-Nine," Charlotte uncovers dangerous secrets. Insanity isn't the only reason her fellow inmates were put away - and those in power will do anything to keep the truth, or Charlotte, from getting out. Kritters Thoughts: Charlotte Smith decides to get herself admitted to an asylum so she can free the older sister that stood up for her throughout her life and quite possibly could be there because of Charlotte's own doings. With an unfiltered view of an asylum of the time, this book had a few difficult parts that made me thank goodness for the time and place that I live in! I love when a historical fiction book makes me do some looking to find out where the truth and the fiction are. I was so intrigued by this asylum's make up and the different wards and how things were organized, I truly wondered if such a place existed and how a doctor came to decide to organize these women this way. The main character in this book mentions Nellie Bly a few times and this has prompted me to want to do some research and read a few books about her, have any of you read anything that centers around Nellie Bly and her story? I am inspired to go pick up something fiction or non fiction to get a little more of Nellie Bly's story. In the end, I enjoyed this book, but didn't love it as much as some other historical fictions reads that I have read recently.